Well, soon I will be trading my weekly scone indulgence for a croissant. So, what’s an american scone lover to do? Make them and enjoy every last crumb! I think the oven in my parisian flat is more equivalent to a “toaster oven” so I may attempt to bake scones but we shall see what comes of them. 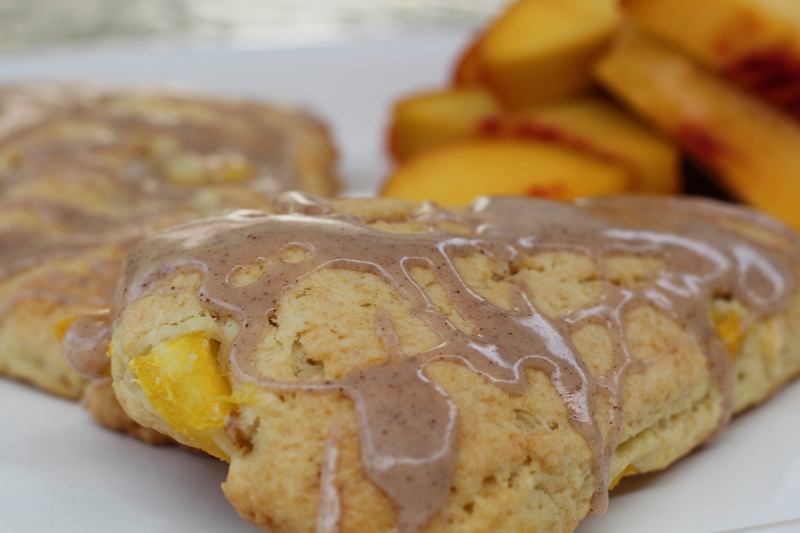 I made peach scones with cinnamon glaze yesterday and they are YUMMY! I created this recipe for a bakery I was consulting for back in 2009. These babies literally flew off the shelves ~ by 8 am every morning we were out with people asking if we could make a fresh batch. I hired another baker just to produce scones all day. That little bakery has since closed, so what to do with these fabulous scone recipes?… Share them with all of you – bien sur! In other news I am packing away…the countdown has turned into 3 days. Yes, after the weekend I will begin my new life in Paris. To say I have no anxiety or fear would be a lie. I am absolutely starting to have that feeling of “what on earth am I getting myself into?” I am starting to get nervous about not speaking the language, getting around in Paris, meeting people, studying a hard subject, being taught about wine in french, being held hostage by a terrorist in a train, and the list goes on. BUT – all of these nerves are truly overpowered by an extreme giddiness. A zest for life that I am about to tackle. So I say bring on the fear so I can conquer it. I just received my new books from amazon and cannot wait to read them on the plane. 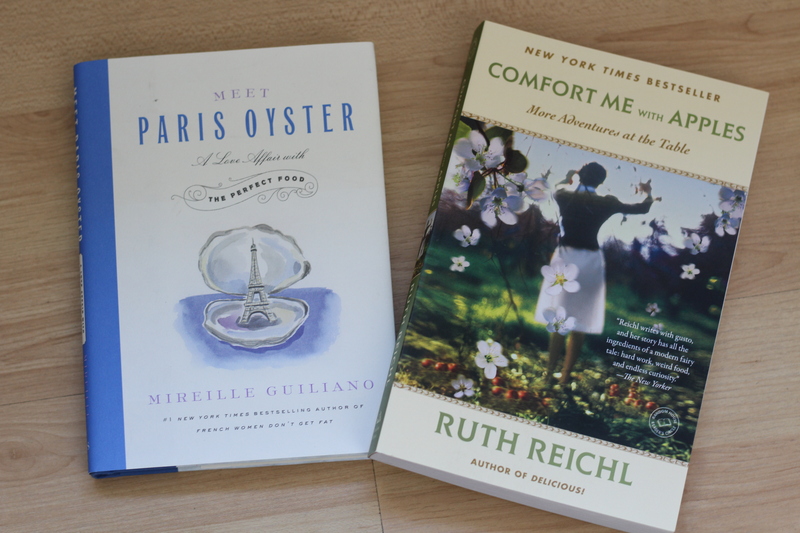 Meet Paris Oyster ~ I love Mireille Guiliano and always read whatever book she comes out with. This is about an oyster bar in Paris. Comfort Me with Apples ~ This is written by Ruth Reichl editor of Gourmet Magazine about her first embarkment in a career as a restaurant critic. Next post will be from Paris. 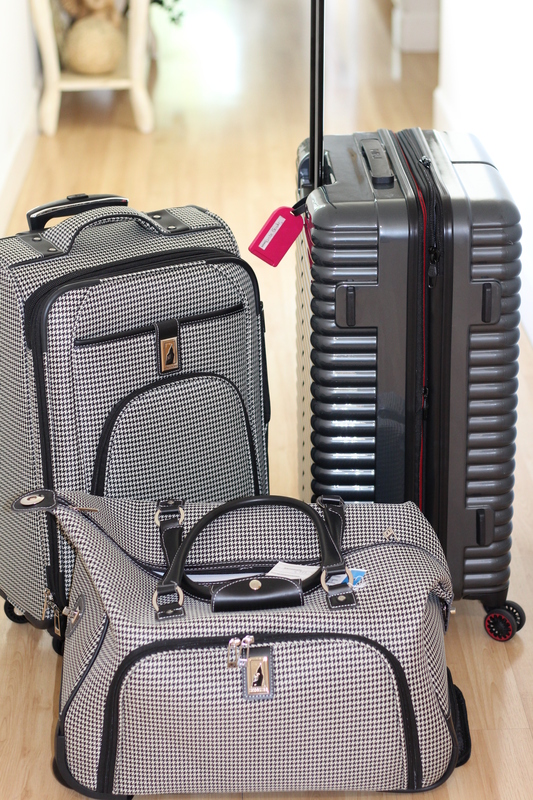 All packed 🙂 Yes, just 3 suitcases + my purse is all it takes to move to Paris! I will thank myself later for it. Chop butter into 1/2 inch cubes and refrigerate while preparing other ingredients. Combine flour, sugar, lemon zest, salt, baking powder and baking soda in the bowl of a kitchen aid mixer. Separately, combine cream, buttermilk, extracts, and one egg and whisk until combined. Set aside. With the mixer running, add butter a few cubes at a time to the dry ingredients. Run on low speed until mixture is crumbly and butter is the size of peas. Now, add wet ingredients and mix until just combined. Do not OVERMIX. Your dough should feel like sticky cookie dough. Empty dough out onto a liberally floured surface. Flour your hands. Press dough into a large disk about 1 inch thick in height. Transfer disk onto a parchment-lined cookie sheet. Freeze or refrigerate for 10 minutes until dough sets. Then slice into wedges. Or use a large cookie cutter. You should get 10 scones out of the batter. Refrigerate for another 10 minutes. Or freeze until ready to bake off. Once dough is chilled bake for 30 minutes, rotating sheet-pan half way through. 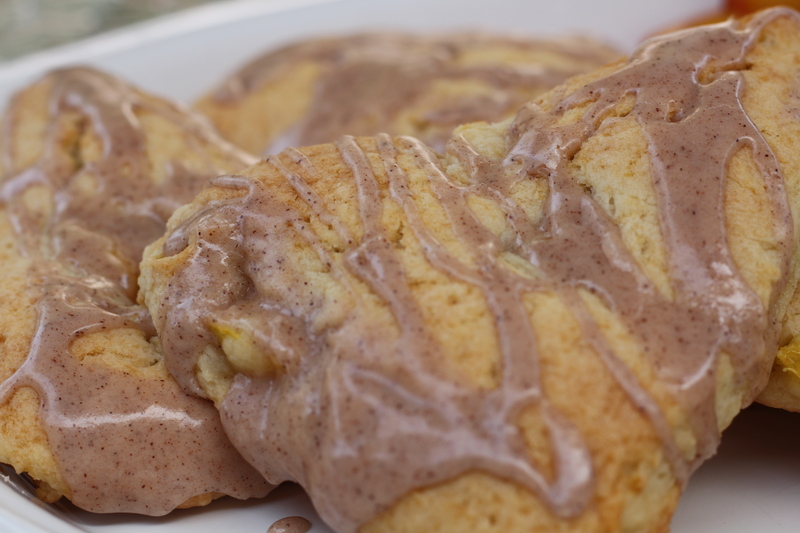 Allow scones to cool then drizzle with cinnamon glaze. 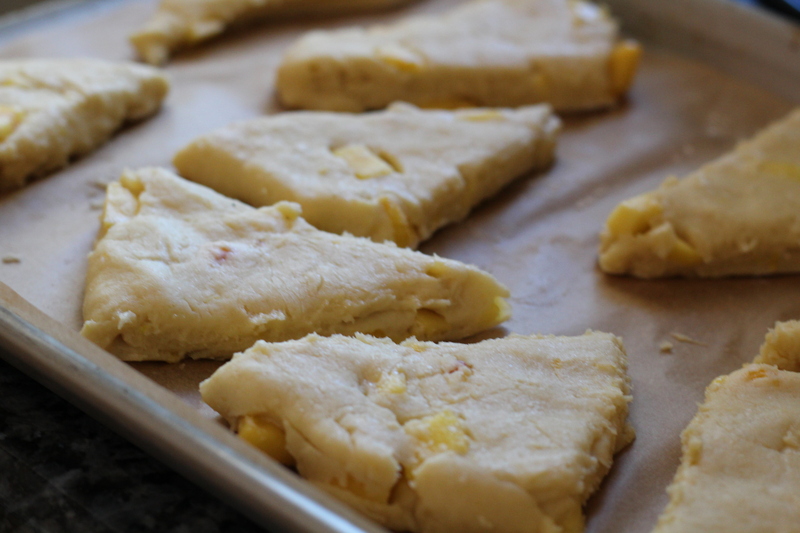 Scones can last in the freezer wrapped for 4 months. Just take out at room temperature 45 minutes before you want to consume! In a mixer, combine all ingredients. Mix until smooth. Depending on the thickness desired, thin out with 1 tbsp milk. Once scones have cooled, drizzle with the glaze. P.S. The scones were amazing! Aunt Jenny~ I will report back how I like the books!! Great recipe idea!! Thanks for sharing! Cannot believe this day is nearly here!! Your whole life prepared you for this adventure Krista. You are going to be the top of your class! You are an inspiration. Thanks Angie! Always the kindest words of wisdom. Loved your blog!!! Funny, I have the same feelings about your trip as you are feeling…. In our hearts we are so happy for you to follow your dreams!!! In the meantime, we have the same scary feelings too – “what are you doing? ?” You explained it so real — and understand your drive and always ready to tackle almost anything!!! We cannot tell you how very proud we feel for you – looking forward to receiving more blogs and know that MOM will keep us up to date. Please know how much we love you and only want the very best for you and your “wild” dreams — we knew this when you were very young…!! More love and hugs with special blessings from God!! The scones are beautiful…and look soooo yummy!!! 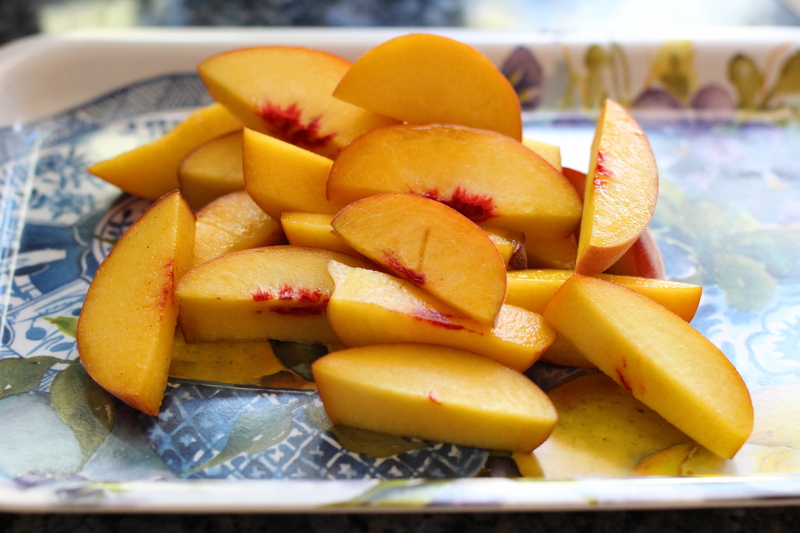 Hopefully, I can find some nice fresh peaches and try them too!!!! Gma C.
Completely impressed you narrowed down a move to Paris in three suitcases 🙂 Bon voyage! Just followed you on instagram too.